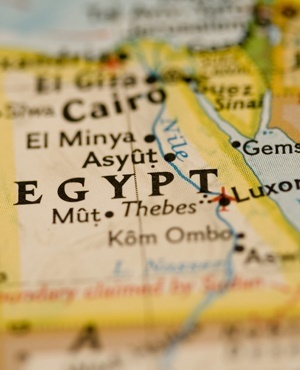 Egyptian security forces have killed 11 suspected jihadists in the Sinai Peninsula as they press a campaign against Islamist militants in the area, a security source said on Monday. The military launched a sweeping operation in February focused on the Sinai in eastern Egypt aimed at wiping out jihadists, including from the Islamic State group, who have been waging a bloody insurgency. "Eleven terrorist elements were killed in an exchange of fire" with security forces in El-Arish, the capital of North Sinai province, the security source said. The jihadists were in an abandoned petrol station "preparing terrorist acts" against security forces, the source added. Jihadists launched an insurgency in Egypt after the 2013 ouster of Islamist president Mohamed Morsi, forced out by the military in the face of mass protests against his rule. Hundreds of police and soldiers have since been killed in jihadist attacks. The military says around 300 suspected jihadists and at least 35 soldiers have been killed since the February launch of the "Sinai 2018" operation. The press is not allowed to travel freely in the area although the military organised a rare visit to El-Arish for foreign media in July. Rights groups have repeatedly warned of the dangers the Sinai campaign poses for the area's civilian population. Human Rights Watch said in an April report the military push had left "up to 420 000 people in four cities in the northeast" of the peninsula in "urgent" need of humanitarian assistance. The army insists the local population supports the campaign and receives adequate humanitarian assistance.